When prizes are distributed randomly, everyone has a fair chance of winning. There are many ways to randomly select prize winners. Choose a technique that fits the specific setting, whether it’s informal — such as a birthday party — or more official, such as at a large-scale fundraiser. Drawing a ticket is one way to randomly choose a prize winner. 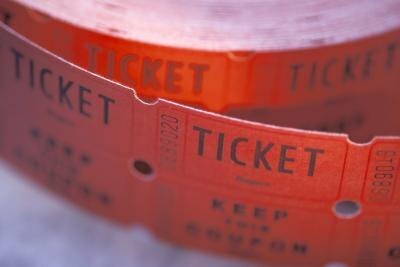 A raffle is when people enter tickets into a drawing and a winner is chosen. Put all raffle tickets in a large bin. 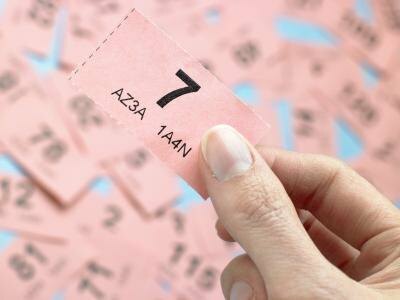 Have a neutral party (someone who doesn’t have a raffle ticket in the bin) pick a ticket without looking. If you have more than one prize, start with the smaller prizes and keep drawing names until you reach the grand prize. Another technique is to make a ticket box for each prize so that people can put their ticket toward the prize they want most. Use a blind grab when you have at least one prize for each person. The prizes don’t have to be the same, but no one should know which prize they’re choosing. Do this by putting all the prizes in a large bag. Each person reaches inside the bag and grabs the first object they touch. As an alternative, put all the prizes in undistinguishable containers, such as gift bags or envelopes. Let people choose their own gifts, or mix it up by requiring that people exchange gifts with the person sitting next to them. Prepare a set of items, marking one item with a dot, sticker or other indicator. People can choose from the set of items, or you can randomly distribute the items. The person with the marked item wins. For example, color the bottom of a lollipop stick red. Insert it into a Styrofoam block with other unmarked lollipops. Whoever picks the marked lollipop wins a prize. Or, place a sticker on the bottom of a chair or on the back of a name tag. The person sitting in the marked chair or wearing the marked name tag is the winner. For a marking, you must have the exact number of items as people, or else the marked item may not get picked or used. There are various online number generators that will select a random number from a range that you provide. Random.org is one such service. Devise a way to assign numbers to participants. There are many ways to do this. For example, ask people to select a number within a given range; the person with the closest guess wins. Or, simply hand people numbers when they enter the room. Pose a trivia question and assign each correct response a number. Whoever has the number closest to the one that the computer generates is the winner.